When we see large trucks on the road, the last thing that comes to mind is praise and admiration for the driver. All we notice is how much space they take up, or how they’re a nuisance in highways – even more so when there’s a traffic buildup. “Final Destination” wild ideas aside, truck drivers are actually one of the most careful and skilled drivers there are. If you think driving a regular vehicle thru traffic, to and from work, is a struggle, imagine how much worse eight to 12 wheeler truck drivers have it. It doesn’t matter what you drive, anyone who gets behind the wheel needs reliable vehicle insurance to protect against road mishaps. But despite how trained they are, there will always be other drivers and technical factors that will break their clean slate. Not everyone can adjust easily to the truck driver lifestyle. An average truck driver’s career lasts less than 6 years. Being a truck driver means constantly missing meals with family, giving up comfort and the luxuries of normal at-home routine, and the active lifestyle. A truck driver’s health suffers, too. Since you can’t exactly multitask or stand up while driving, there’s no other option but to succumb to a sedentary position for hours at a time. Good eating habits and proper exercise are no longer an option when you’re on a constant race against time. Driving for more than five hours straight is easier said than done. After more than a day on the road, a truck drivers’ worst enemy is fatigue and sleepiness. As a result, their performance levels often ebb and flow. There is no real secret to staying awake. Just like everyone else trying to work a graveyard shift, they consume tons of energy drinks and coffee, sing along to the radio, and slap or pinch themselves. To combat fatigue, some drivers resort to turning to their gadgets for entertainment. Although GPS systems and Bluetooth technology was invented to make things more convenient, misuse of these advancements can lead to accidents. They are actually prohibited from using cell phones while driving, but not all rules are meant to be followed by everyone, right? Tell this to the truck drivers. Most truck drivers are paid by the mile, so the further one drives in a shorter time span, the more money they make. Approximately 5,000 people in passenger vehicles die yearly in truck-related accidents. We all want to reach our destinations in one peace, safe and sound. The best advice one could give in relation to speeding is “follow speed limits”. Controlling a truck on wintry, icy roads requires the same preparations as household, private vehicles. Before setting out on a cross country drive, truck drivers must not forget to check their lights, brakes and tanks. Even the best drivers falter sometimes. 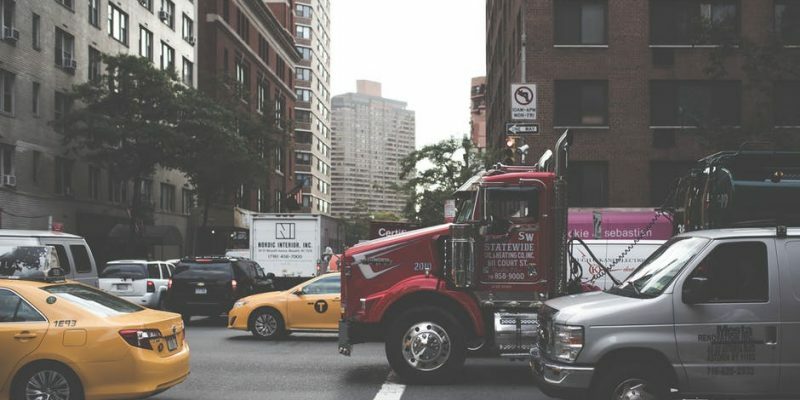 The next time you ruthlessly cut off a truck driver, consider the fact that compared to your eight hour workday, there’s a chance they have seen their family or gone home for days, weeks or months. Giving way on the road goes a long way.